Hi! Heidi here just chatting up a storm with my other kitty pals. 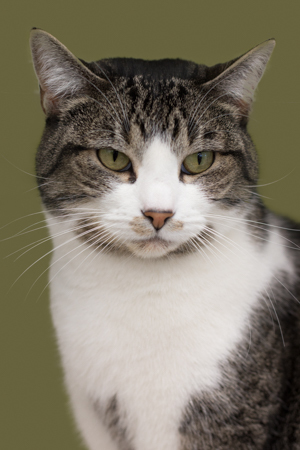 I am a 3 year old brown and white tabby with quite the affectionate personality! Sometimes I will go to the front of my condo and plead with the PetCo staff to come give my some love. Did I mention I like to talk? Just call me chatty Kathy! I will chirp for chin scratches and give you purrs of gratitude for attention. Do you have room in your home for a sweet kitty like me? I am quite the charming gal. So fill out an application today and come on over to PetCo on SE 122nd & Division, so we can fall in love! I come to you spayed, vaccinated, and micro-chipped with an adoption fee of $100.